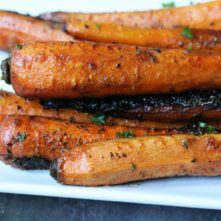 Substituting veggies for carb-dense food has never been easier or more popular. Alternatives for pasta, rice and potatoes are popping up everywhere. We’re all jumping on the bandwagon and why not? Putting extra veggies on my plate in place of foods lacking real nutritional value can’t ever be a bad thing. I’m all for it. What little extra time and effort you spend making cauliflower rice is made up for benefits to your body and peace of mind knowing you’re making better choices for you and your family. Cauliflower rice is such a thing now that you can even buy it in stores already pre-riced. I’ve seen it at Whole Foods, Trader Joe’s, Target and Walmart, even. It’s more expensive than a head of cauliflower is, but if you’re in a hurry to get dinner on the table, it’s a convenient option. However, if you’re more budget conscious like I am and have an extra 5 minutes to spare, making it yourself is quick and easy. Scroll all the way down if you know what you’re doin’ to see my cilantro-lime cauliflower rice recipe! There’s a few ways to do it in your own kitchen. One method is to simply chop really finely using a knife. This gets a little messy and you’ll have cauliflower all over your counters. I find tiny pieces of cauliflower for days after I do it like this with just a cutting board. Same with the next method of using a cheese grater. This one is easier than the knife, but for both options I recommend doing it inside of a rimmed baking tin. Grating the cauliflower directly into that will prevent it from flying around the house as you’re ricing it. The third way to do it is to use a food processor. Little mess, less effort and you’re done before you know it. The best part about using a food processor is that you can do double batches super quickly and freeze what you’re not using for a later meal prep. I love my food processor and use it a ton. Turned out to be the best 20 dollar investment ever. I don’t even want to think about how much time it’s likely saved me over the last year. The one I use is a Black and Decker brand, it’s inexpensive but holds up just fine for everything I use it for. We’re going to start off by just chopping the cauliflower into large florets. No rhyme or reason to it, just so they’re cut down enough to fit into the food processor. Then, you’re just gonna turn on the magical machine until the cauliflower chopped into a fine, rice-like consistency. It shouldn’t take more than a few minutes. 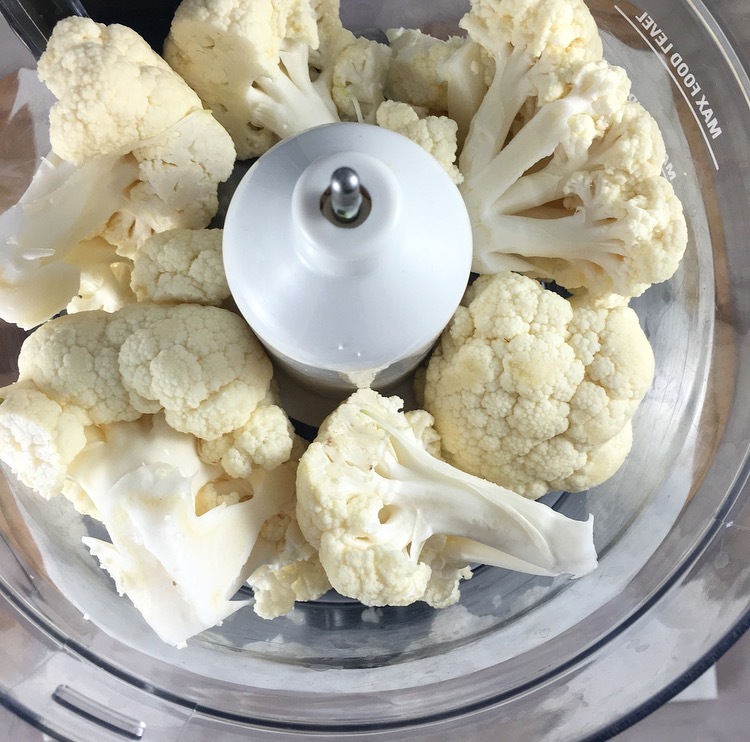 You may have to stop it and stir the cauliflower around if you notice a larger chunk isn’t moving, but that’s easy enough right? Cooking it takes no skill, either. Once you’re done and you have your “rice”, dump it all in a saute pan for a few minutes, or until it becomes a little transparent, depending on how hard or soft you like your rice. After it’s cooked, you’ll want to transfer it to a strainer or nut milk bag to remove the excess water. My favorite way to do this is to use a nut milk bag because it’s easy to squeeze as much of the water out as possible. A lot of people stay away from riced veggies because they get so runny and watery but this method totally prevents that. I use a bag from Ellie’s Best (code PALEOBAILEY saves you money at checkout). I like this one the best because it’s sturdy, durable and holds up in the dishwasher. You can pick it up on Amazon, too. 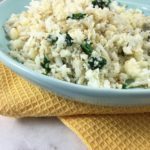 I’m including the exact, step-by-step recipe for cilantro-lime cauliflower rice, which is a good addition to any Mexican-style meal. Like this Seared Salmon and Avocado Salsa. But if you’re wanting just plain white rice, skip the lime and cilantro and you got it! 1/2 head of cauliflower is enough for 2-3 servings. 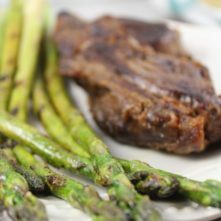 Double the recipe for a larger family meal or food prepping. 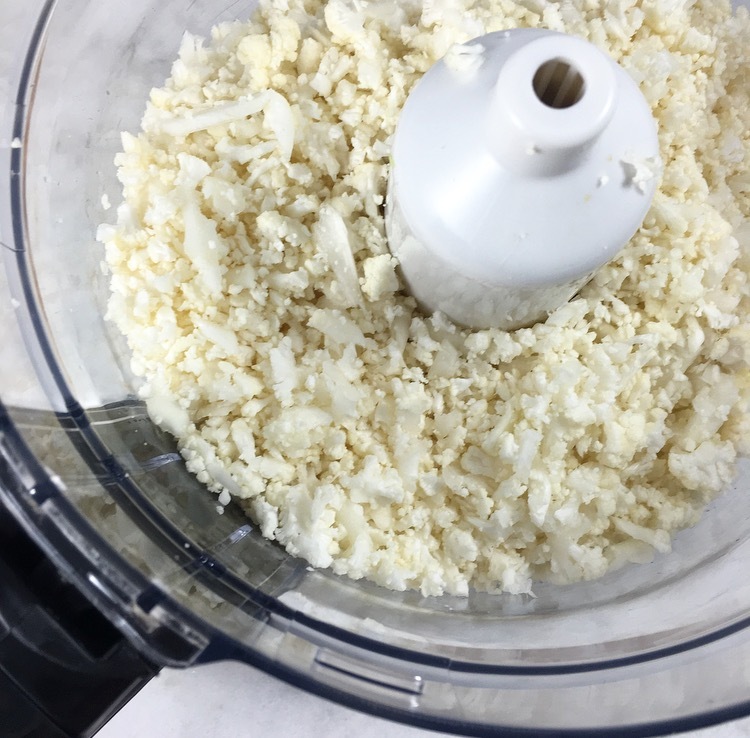 Cauliflower rice can be placed in the freezer for up to 1 month. It stays good in the fridge for up to 4 days. Yay! I can just sauté it until it’s cooked instead of steaming it (which has resulted in a mushy texture). 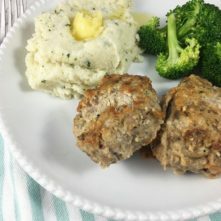 What can I substitute for cilantro in this recipe? The lime is good, but cilantro isn’t a family favorite here. Glad I found your site! You can omit! Or sub for a herb you love, like parsley!